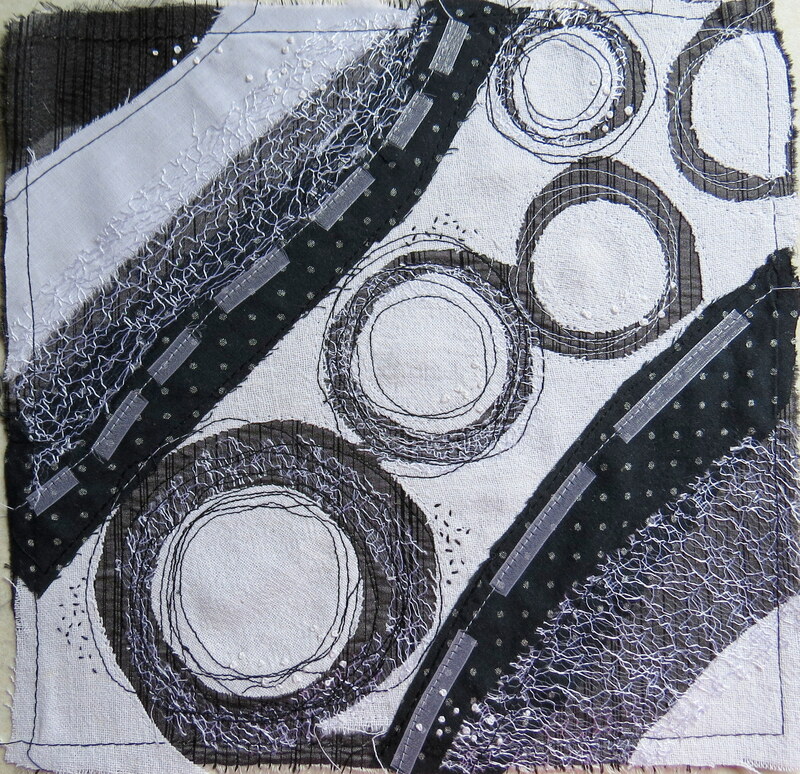 The Ex Tex homework is to look for a design from isolating a part of the Journey and to use collage or textiles to make a black and white piece at least 10 inches across. 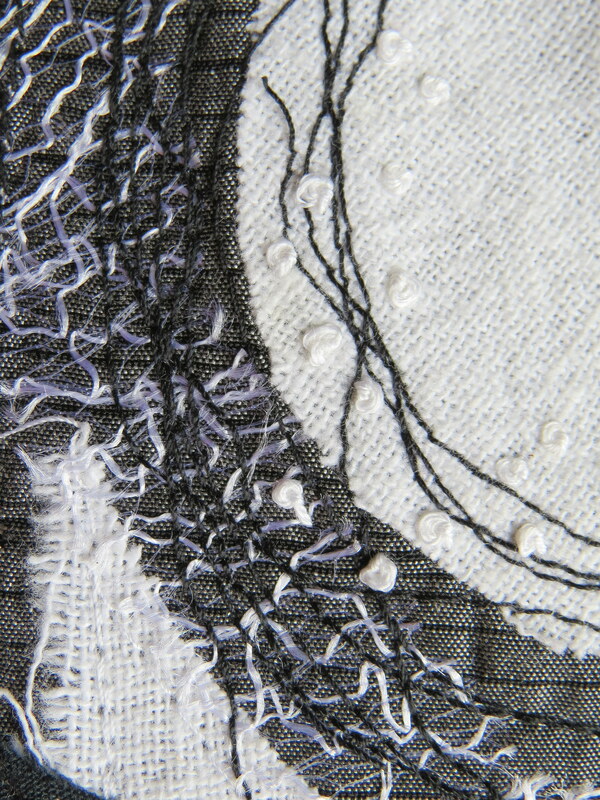 I did do a paper collage, but here is the textile sample. 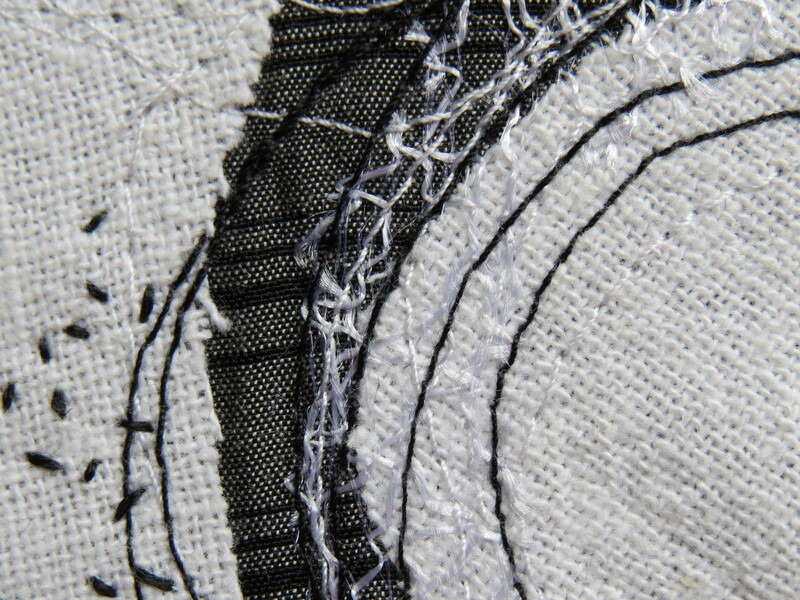 I found I worked pretty quickly once I had all the materials to hand and I think this is probably my style. 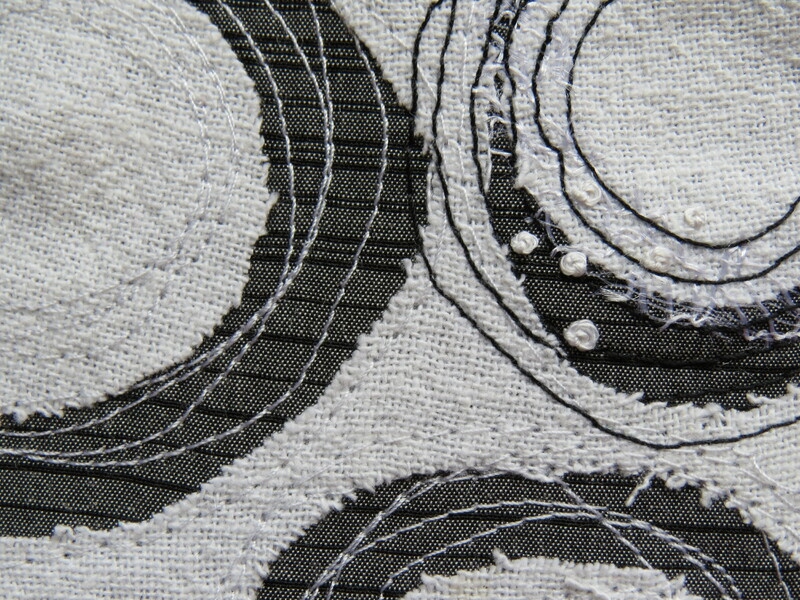 I thought I’d use a lot of hand stitching but it was machine stitch that took over! 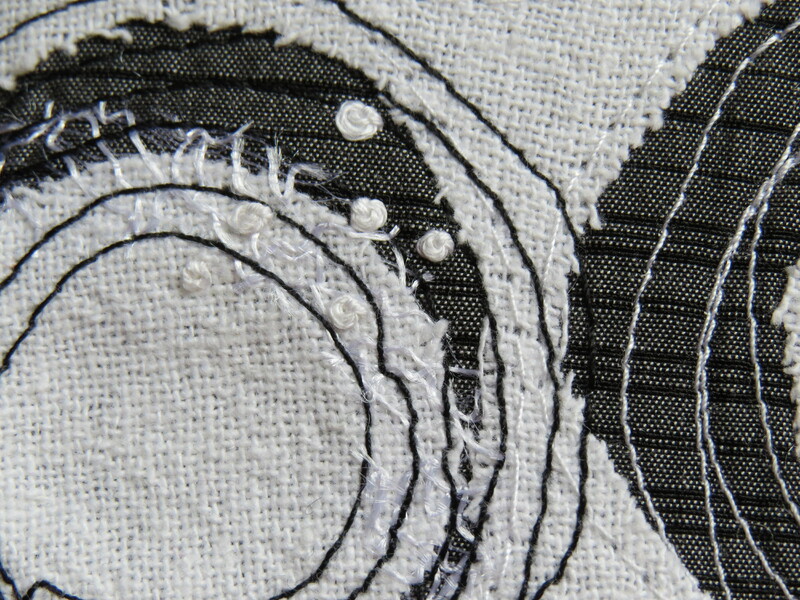 I did do a simple black and white base on which to hand stitch but I didn’t like it so the one below has been finished with a few seed stitches and French knots. Some further crops of areas of interest.